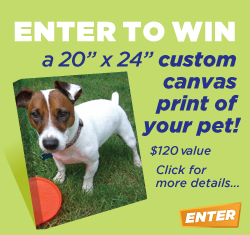 MyPet Values knows how important your pet's health is to you. That's why we've partnered with 1-800-PetMeds, America's largest pet pharmacy, to get you special deals on the dog and cat medication your pet needs. 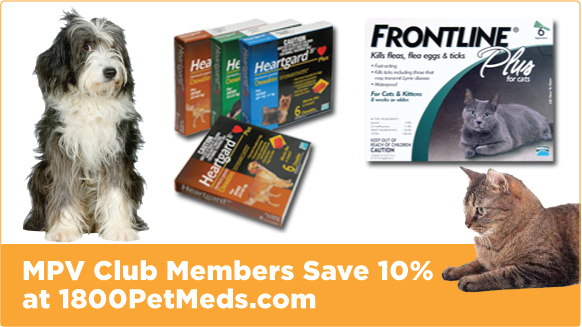 Join our FREE MPV Club, you can save 10% on every 1800PetMeds.com order. It's easy to join and FREE. Sign up today! Not interested in joining the MPV Club right now? 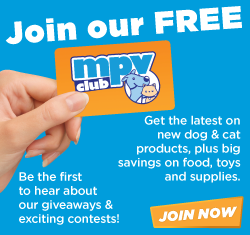 You can still shop through 1-800-PetMeds and join the MPV Club when the time is right.